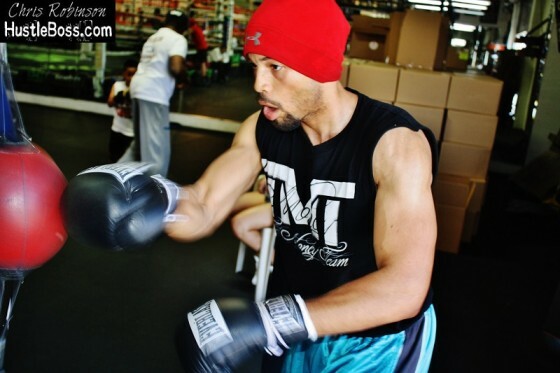 HustleBoss.com steps inside of the Mayweather Boxing Club as budding amateur prospect Izaiah Bautista puts in some work on the body bags. 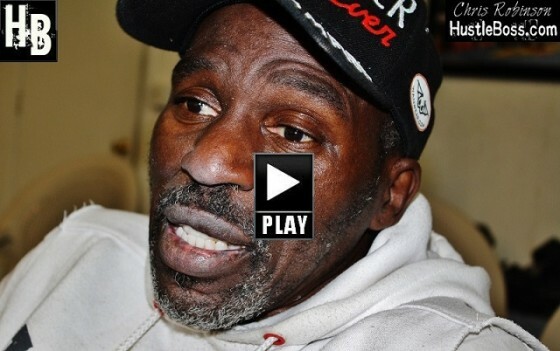 HustleBoss.com’s Chris Robinson speaks with trainer Roger Mayweather about the return of Robert Guerrero this weekend inside of the StubHub Center in Carson, California. 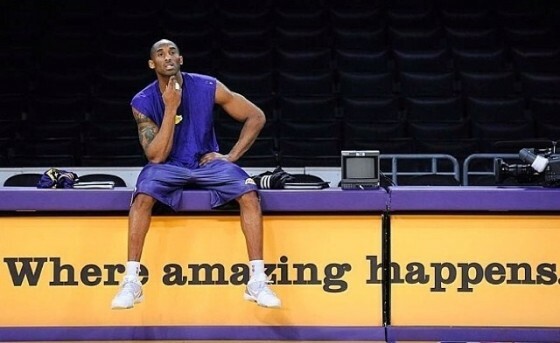 After growing up with a tough life, it’s what made me who I am today. Experiences build character, although many judge me quick without even knowing me. But at the end of the day, I don’t worry about it. I still smile and joke around because I know am a cool guy to know. Anyway, As you can see, I am always focused on my goals. Althrough I am outgoing and like to get along with everybody, once I step into the gym, I just say hey to everybody and then go straight to work. 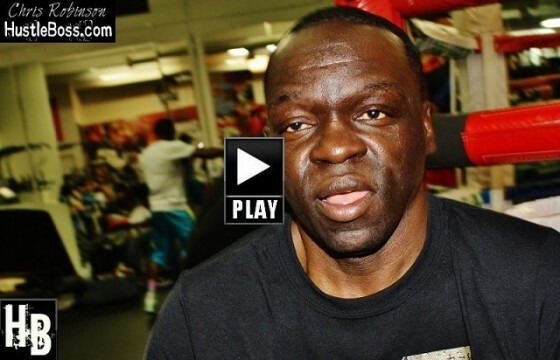 HustleBoss.com’s Chris Robinson speaks with trainer Jeff Mayweather about Robert Guerrero’s return to the ring this weekend on Showtime vs. Yoshihiro Kamegai. Photos from Los Angeles, Calif. as undefeated Gary Russell Jr. (24-0, 14 KO’s) and two-time Olympic gold medalist Vasyl Lomachenko (1-1, 1 KO) both weigh in ahead 125.5 pounds ahead of their Showtime-televised duel on Saturday, Jan. 21 from the StubHub Center in Carson, Calif.
HustleBoss.com’s Chris Robinson speaks with Lebanon’s Ahmad Cheikho about moving from Montreal to Las Vegas, his best memories inside of the Wild Card in Los Angeles, including some tough sparring with Jesus Soto Karass, and what it has been like training at the Mayweather Boxing Club. 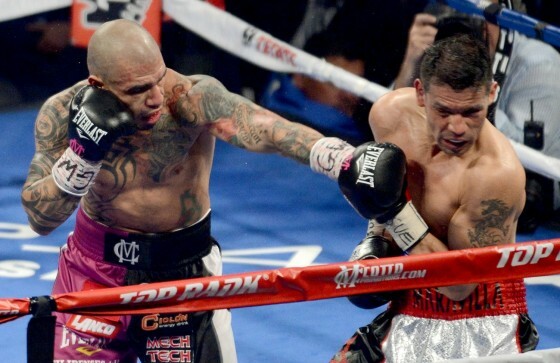 Cheikho is on a four-fight winning streak and has won three fights already in 2014. 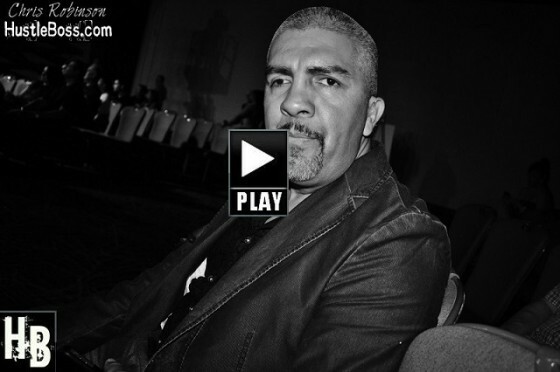 The homie Cornell Bellows Jr. showcases his son Lanell. 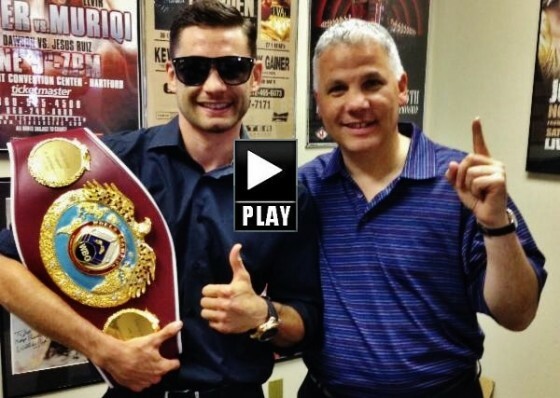 You know ‘KO’ is a fan favorite at the Mayweather Boxing Club. 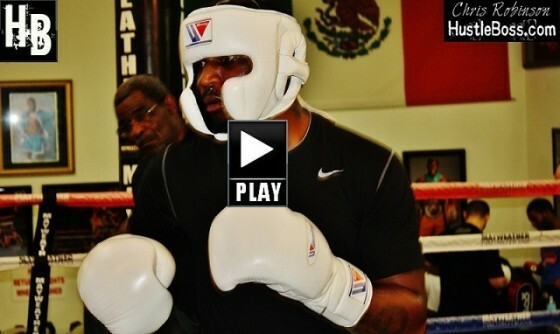 Check out his life in this clip below. This weekend, former multi-division titlist Robert Guerrero returns to the ring when he faces off with once-beaten Yoshihiro Kamegai at the StubHub Center in Carson, Calif. The fight marks Guerrero’s first match since dropping a wide points loss to Floyd Mayweather over a year ago in Las Vegas. 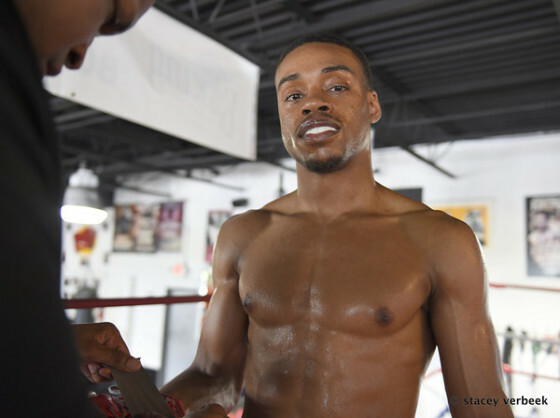 For the Gilroy native, the break from boxing was much needed. Photos: Vasyl Lomachenko training for June 21 clash vs. Gary Russell Jr. Photos from Los Angeles as two-time Olympic gold medalist Vasyl Lomachenko (1-1, 1 KO) trains ahead of his Showtime showdown vs. Gary Russell Jr. (24-0, 14 KO’s) for the vacant WBO World Featherweight championship at the StubHub Center in Carson, California. Exclusive photos from the Mayweather Boxing Club in Las Vegas, Nevada as two-time female flyweight champion Ava Knight (12-2-3, 5 KO’s) spars with local fighter Sergio Lopez (2-1-1) as she waits for news on her next fight. After growing up in an environment where engaging in physical combat was frowned upon, being physically abused, had confidence shattered growing up, I’m becoming more more comfortable with the act of putting hands on a willing opponent. Confidence is building dangerously rapidly. 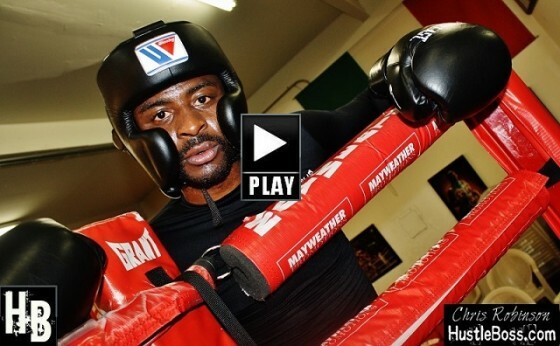 HustleBoss.com introduces its first web series ‘CHANCE of a LIFETIME l The Stephane Malenou Project’, as we will be following the Cameroon-born fighter around Las Vegas and other locations as he chases his dreams of becoming a world champion. 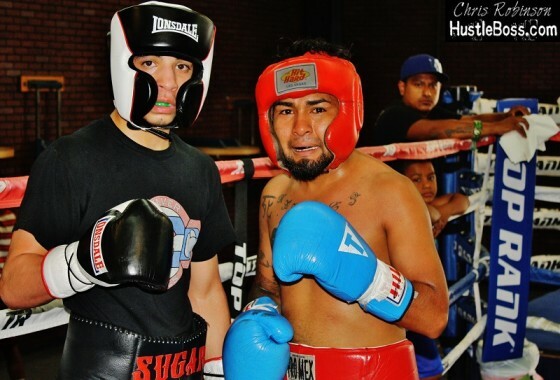 HustleBoss.com steps inside of the Top Rank Gym in Las Vegas as 17-year old flyweight prospect Damien ‘Sugar’ Vasquez spars with junior flyweight Yosigey Ramirez (1-2-2). 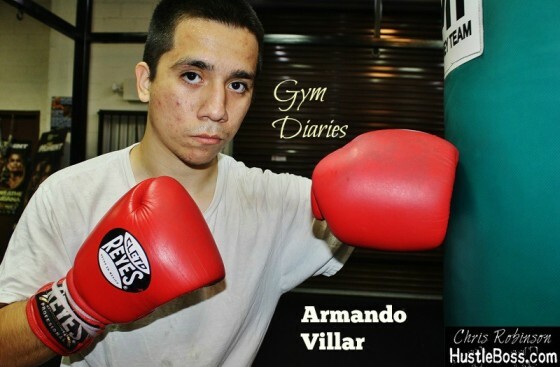 Vasquez is now working under Cuban trainer Ismael Salas, with respected veterans Miguel Diaz and Richie Sandoval rounding out his team.